Written by Sarah Burgener. Media by Yecheng Wang. During July of 2016, people from all around binge-watched and fell in love with a new science fiction show called “Stranger Things.” As a Netflix original, viewers were able to watch every episode of season one on Netflix, a streaming option for televisions and computers at home. Since most people watched the first season in about a week and fell in love with the characters, the excitement was real when the announcement for the approval of a second season was made. Finn Wolfhard, Millie Bobby Brown, Gaten Matarazzo, Caleb McLaughlin, and Noah Schnapp, the child actors in “Stranger Things” are actually good friends in real life. Since they are all pretty tight, they also do cute things together such as rapping on “The Tonight Show with Jimmy Fallon.” Each cast member has their own massive social media following and uses it to their advantage. Before the release of season two on October 27, the cast posted preview pictures to keep fans guessing about what the second season would entail. If you don’t want to watch all eight episodes of season one before watching “Stranger Things 2,” then here is the low-down of what you need to know. 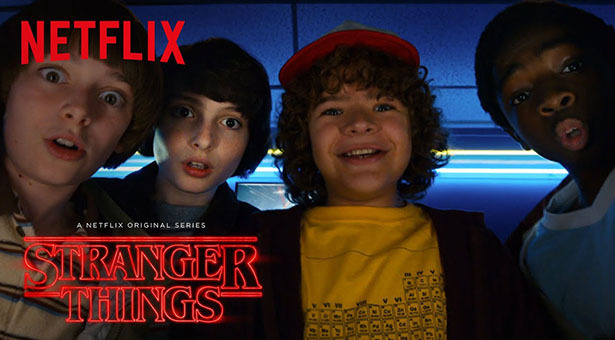 It all starts when three kids, Mike, Dustin, and Lucas discover that their friend, Will Byers, went missing on his way home from hanging out with them. On the search for Will, they find a strange girl in the woods while they are riding their bikes who claims to know where Will is. 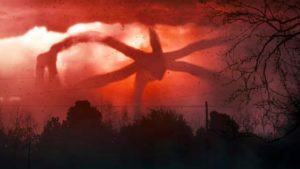 Eleven tells the group about The Upside Down, which is a parallel universe where a creature, who the characters refer to as a Demogorgon, walks around in a scary version of the town called Hawkins, where they live. The four kids work together with the help of Will’s mother, Joyce Byers, and Jim Hopper, the police chief. They also have help from Mike’s sister, Nancy, who teams up with Jonathan Byers, and her boyfriend, Steve Harrington, in order to find Jonathan’s brother, Will. Throughout the season, we learn about how Eleven’s life connects to the disappearance of Will Byers and how she can help his family and friends find him. “Stranger Things 2” picks up right where the last season left off. After watching the trailer, we know that all of the characters from the previous season return, along with a few new ones. We are introduced to Max Mayfield and her older brother Billy. Max moves to Hawkins and the boys befriend her despite her overly-aggressive brother and the fact that she can’t know about the past year of their lives because they want to keep her safe. Eventually, the boys tell her all of their secrets about Will and Eleven in order for her to feel like she is a part of the group. Along with these two kids, we also meet Bob Newby, who went to school with Will’s mother, Joyce, during high school. 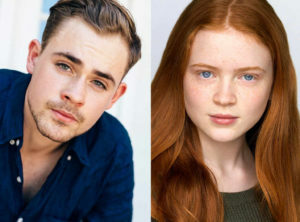 In season two of “Stranger Things,” the story becomes more complicated and requires the help of these new characters, along with the characters from last season. All of these people exhibit major character development, even Steve Harrington, former jock who becomes a type of babysitter in the new season. Season two brings twists and turns that still leave viewers with unanswered questions. With a bigger and darker plot, fans are kept on the edge of their seats with “Stranger Things 2.” Let us know in the comments if you have watched the second season already share your opinions on it!